The Viewsbank Bristol Pitbulls won the National Ice Hockey League South Division 2 Playoffs with a 9-4 aggregate score over the Slough Jets. 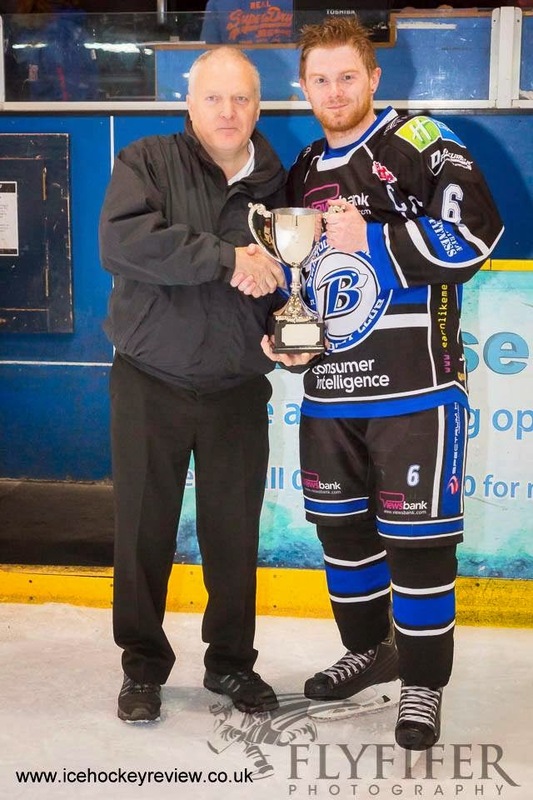 The win completed a league and playoff double after Bristol won the National Ice Hockey League South Division 2 Western Conference title two weeks ago. The two-legged playoff final took place on the weekend of 25th/26th April 2015 and saw the winners of the league’s western and eastern conferences meet for the first time this season. After a difficult start to the season, Bristol went into the weekend unbeaten in all competitions since the New Year, while Slough had only lost once all season and had already claimed the NIHL South Division 2 Cup title in March. Bristol won the first leg 4-0 in their nominated home venue of Swindon due to the absence of an ice rink in their own city. After an early goal by Olly Shone in the second minute, a strong defensive performance saw Bristol absorb heavy pressure by Slough throughout the second period. Man of the Match, Bristol netminder John Dibble saved all 47 shots to record his fourth shut-out of the season and keep Bristol in contention before third period goals by Jordan Smith and two from Steve Osman gave Bristol a commanding lead going into the second leg. Player/coach, Rich Hargreaves's assist on Osman’s first goal made him only the first player in team history to record 200 assists. The following night in Slough Ice Arena, Slough finally scored past John Dibble in the sixth minute as they maintained long periods of sustained pressure in the Bristol zone. However, a goal from Rich Hargreaves, making him the first player to score 300 points for the club, and one from Jordan Smith put Bristol back in control. Jordan Smith scored again in the second before Mike Hargreaves and Tom Egerton made the tie safe in the third period. Slough, desperate to at least win the game if not the title, were able to hit Bristol with two late goals but found themselves unable to avoid a 5-4 defeat on the night. Bristol’s coach Rich Hargreaves said: “I’m very proud of what this club has achieved through our tough times. We stuck together and we came to battle both days. I think that the emotion from the fans and players said it all. I couldn’t ask for a better a bunch of guys."